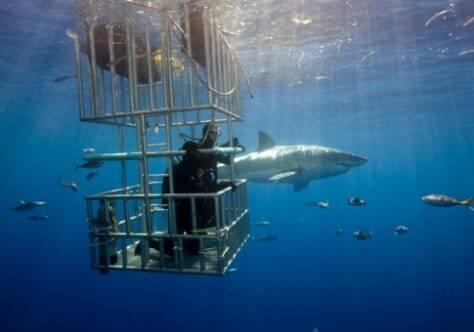 To really get your fear glands pumping, try diving with Great White Sharks, but stay in the cage. These man-eaters may be hungry, but behind the cage bars you are relatively safe. Just don't try sticking out your hand and grabbing a souvenir shark's tooth.